This frozen margarita pie recipe was originally published in 2013. I am updating the pictures, recipe and bringing it back to live for new readers. It’s a must have this summer!! Happy Friday friends! 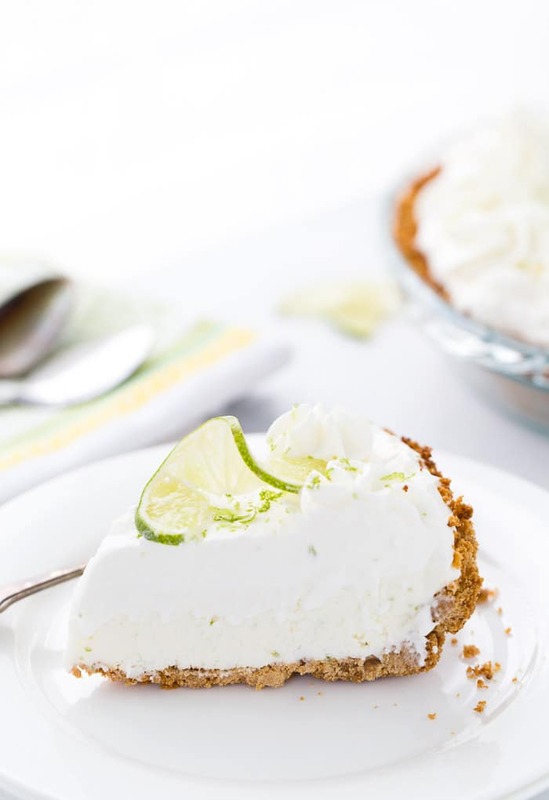 I have a no-bake pie for you today in the form of this Frozen Margarita Pie Recipe. It’s an oldie but a goodie. 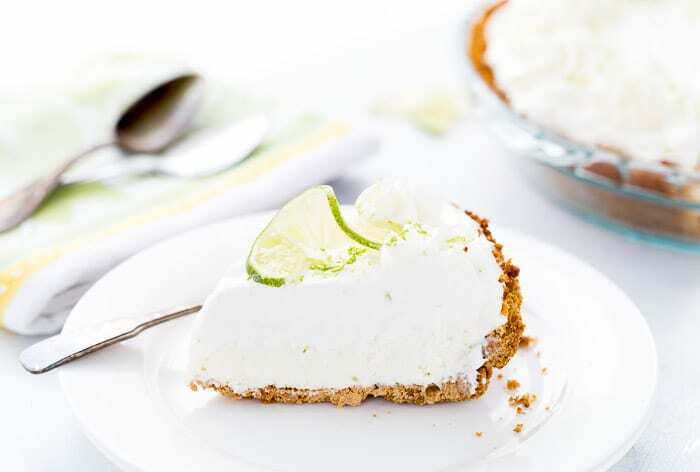 A sweet, creamy lime cheesecake filled with key lime juices and crunchy graham cracker crust. 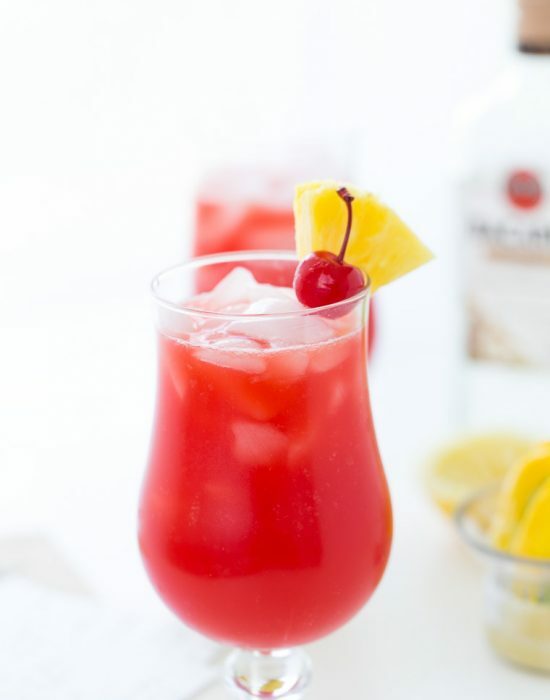 It’s a refreshing and delightful summer recipe that you need on your plate. I first made this recipe four years ago as part of a cooking book club, Pass the Cookbook Club, hosted by Kita of Pass the Sushi. I miss those early days of blogging when we were all focused on meeting new people, learning new skills and baking up scrumptious recipes like this banana foster pie. It’s sad these days it all seems to be about the social chase, numbers and numerous platforms making it impossible to actually connect. Anyways…this frozen margarita pie recipe, let’s get back to it. 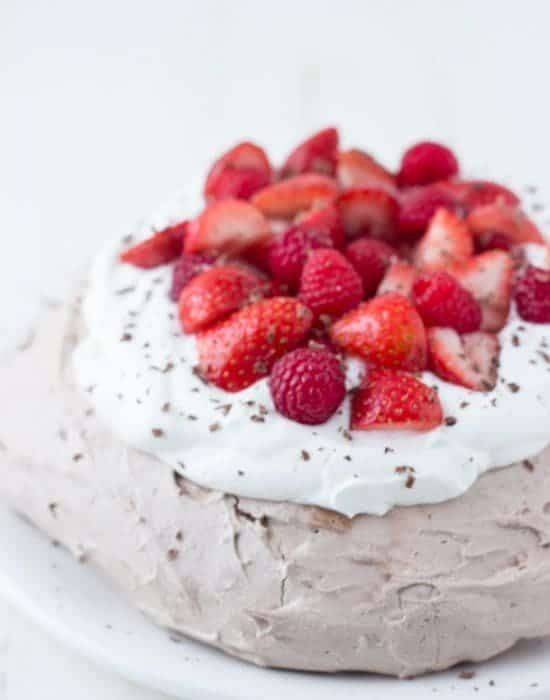 The summer heat is not as bad this year but I am always looking for easy no bake desserts. 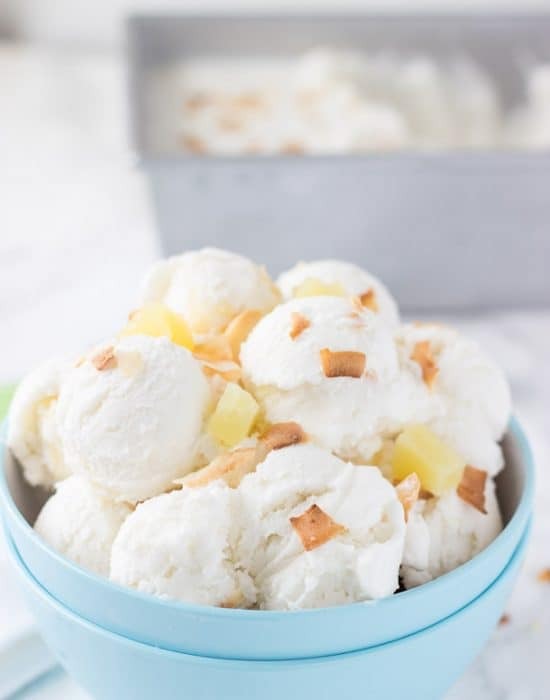 This recipe from Slushed! is just that. Think of key lime pie but in a frozen creamier form. Sweet, tart and delicious. It’s also incredibly easy to whip up. Use graham cracker crumbs to make the crust and freeze crust while you make the filling. I love using the food processor for cheesecake filling. You always get a smooth and thick filling in one go. 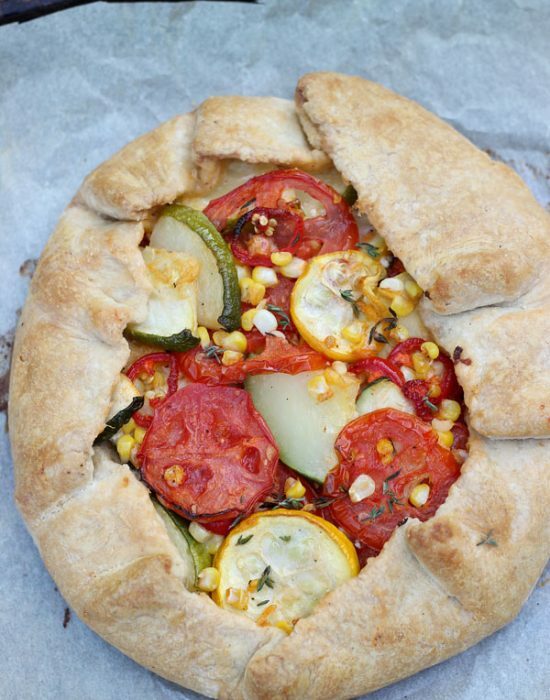 Once you pulse the filling ingredients, pour into the frozen crust and freeze. This is the hardest part, waiting for it to freeze. Be patient! It’s worth the wait! I used key lime juice for mine but you can use regular limes. Don’t forget the tequila as it adds a great flavor. Hope you enjoy this frozen margarita pie! 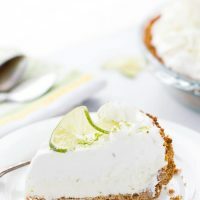 This no bake frozen margarita pie recipe is sweet, tangy and refreshing. 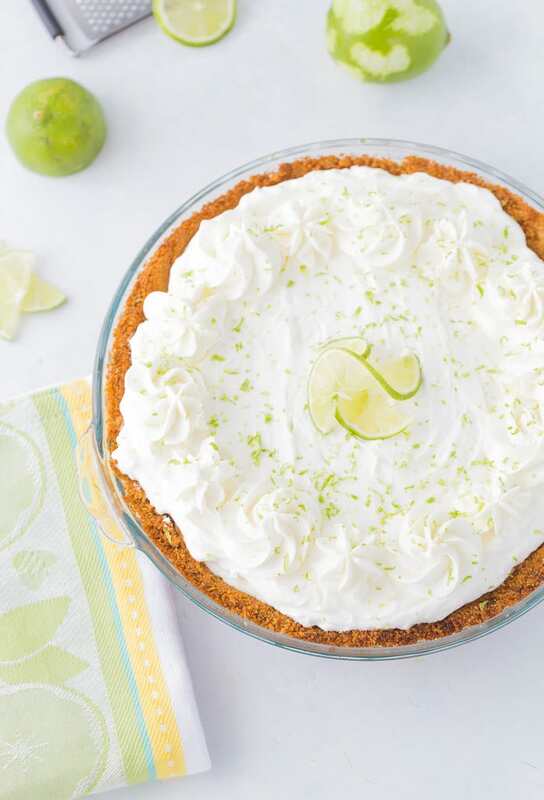 Creamy cream cheese and tart lime juice in the perfect summer pie. In a medium bowl, combine the crust ingredients and stir until finely combined. Press the crumbs into a pie plate (I used a 9 inch pie plate) to form a crust. Put the dish in the freezer and chill while making the filling. Warm up cream cheese in microwave for a minute or two. This will make it easier to stir. In the bowl of an electric stand mixer with the paddle attachment, beat the cream cheese on medium speed for a few minutes, 2-3 minutes. Add the sugar, lime juice, zest and tequila and beat on low until combined. Increase speed to medium-high and beat for 5 minutes, until pale and fluffy. Transfer mixture to the prepared crust. Smooth surface and freeze overnight. To serve, let sit at room temperature for at least 10-15 minutes. 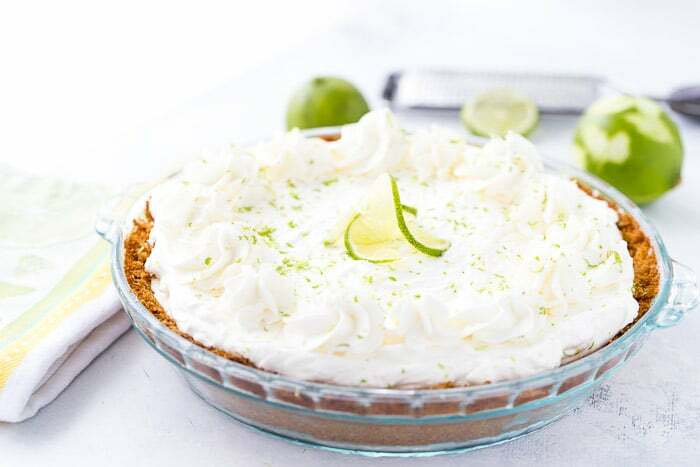 Slice with a sharp knife and garnish with whipping cream and lime zest. Good job with the camera!! The T3i is a fabulous start, and once you start to play with it you won’t be able to put it down. Ask Santa for a tripod while you are at it, I find I can hardly shoot without it anymore, especially as I don’t have very beautiful light. Refreshing as a margarita indeed!! Love this recipe so much I bought the book! I’ll definitely add that to the Santa list lol! Oh I added the book to my cart for my next amazon purchase as well. Yum!! I love the tartness of the lime! i have the same camera and it takes good pictures 🙂 on a different note, I want this pie really bad now – everyones talking about it (this is coming from a non-pie person). I’ve been saying the same about your mango granita. I want so bad! I have been really happy with the T3i. Go for it! This looks beautiful…nice pictures. Nice pie! Your pie looks like it came out great – wonderful pics – I am dying for a Cannon myself! I’m so excited that you are a member of Pass the Cook Book Club! I really wanted to amke this pie too. Me too! Thank you for introducing me to the club through your blog 🙂 I really wanted to make the strawberry basil gelato you made as well but I don’t have an ice cream maker so I opted for this pie (well that and the booze too ;p). 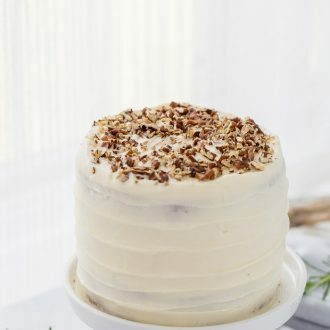 This looks so easy and delicious!! I will have to try it! I have to say, as a newer blogger I was surprised at how much I enjoy forming relationships with other bloggers 🙂 It’s such a fun community!! So glad you are enjoying the community. It’s the best. OMG, just give me the pie and a spoon! No need for formalities here, this is the kind of dessert I could polish off all by myself lol. Take care. OMG, just give me this pie and spoon! No need for plates. This is the kind of dessert I could just dig right into and eat all by myself lol. Take care. Mmm, that pie looks so good! 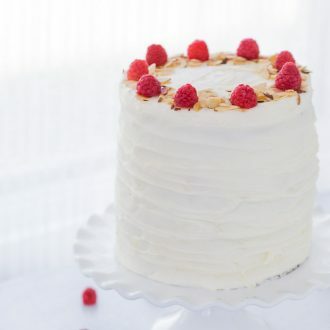 ahh this looks so creamy! love it. also yes it’s so hard to meet bloggers. blogging isn’t my job or main priority so maybe that’s why, but still. Same here! I’ve always been blogging as a hobby and love the connections.